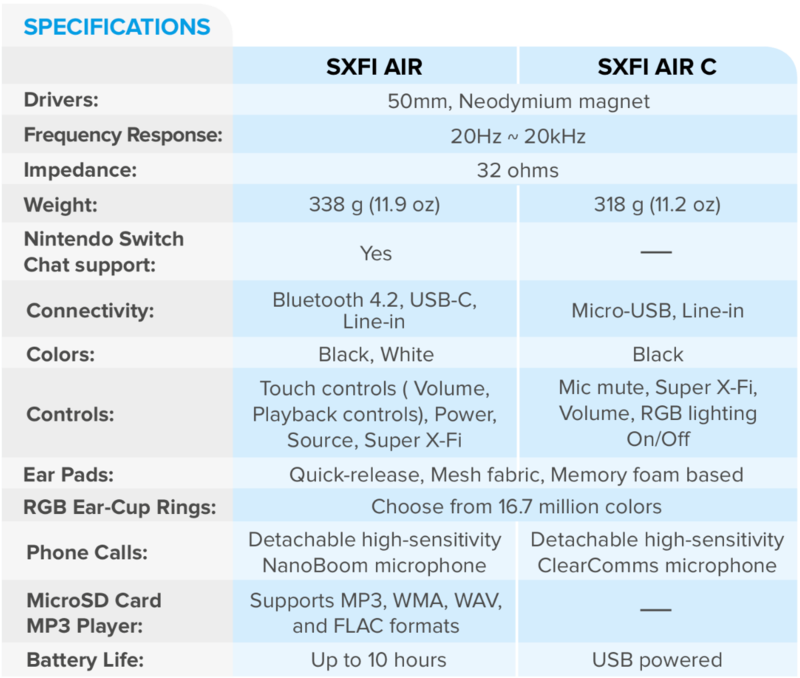 What is the difference between SXFI AIR C and SXFI AIR? Should I buy the SXFI AIR C or the SXFI AIR? The most important points to note are that the SXFI AIR is a wireless Bluetooth headphone, perfect for iPhone users and individuals who want the Super X-Fi on the go, and in the form of a headset. The SXFI AIR C though, is a wired USB solution, and perfect for someone who wants to use it on their desktop, laptop, or with their gaming devices.